Two separate medical studies have emerged that credit the biological effects of coffee as playing a role in lowering the risk of a certain aggressive type of breast cancer, as well as fatal prostate cancer. The Karolinksa Institutet study in Stockholm found that amongst nearly 6,000 women–2,818 patients with breast cancer and 3,111 participants who did not have breast cancer–who drank five cups of coffee a day had a 20% decrease in overall breast cancer risk. When studying a very aggressive type of breast cancer called estrogen-receptive negative cancer, this amount of coffee showed to aid in a 57% reduction of risk in women ages 50 to 74. It is important to note that such a significant decrease in risk had a lot to do with the age of the women who were studied. The prostate cancer study conducted by the Journal of the National Cancer Institute involved the participation of 48,000 men, making it the largest study of its kind. The study showed that men who drank over six cups of coffee or more per day lowered a man’s risk of fatal prostate cancer by up to 60%. 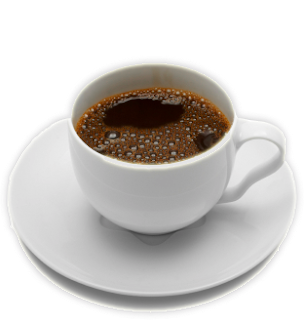 The many different biological effects of coffee is said to be the reason why it is reducing the risk for these types of cancers. Coffee is a source of antioxidants and it also has positive effects on glucose metabolism and insulin levels and it is believed that insulin plays a role in the progression of prostate cancer, as stated by Kathryn Wilson, a research fellow in epidemiology at the Harvard School of Public Health. This seems to be a bigger triumph for men who are at risk of developing prostate cancer, but the study of coffee has a long way to go before researchers will give up on it. Previously, coffee has been said to lower risk of Type 2 diabetes, Parkinson’s disease and liver cancer as well. Researchers are not instructing people to start incorporating large amounts of coffee into their daily diets, but it is safe to say that if you are already a coffee-lover, you may be helping keep yourself free of certain cancers and disease.